Receive a FREE 6oz. Bag of Fresh Express Baby Spinach with a purchase of $10! Receive $1 off locally grown and bottled Lucero Olive Oils! Lucero Olive Oils produces some the Central Valley’s best olive oils. Detoxify, purify and replenish with the Giovanni line of organic cosmetics. Get $1 off any full size Giovanni product! 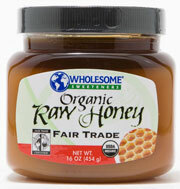 You’ve probably heard that October is Fair Trade Month in our stores … but what is “Fair Trade”? Check out our video to learn how your purchases can help support and sustain both the environment and workers from across the globe. For a tasty way to get your recommended servings of whole grain, try quinoa. It contains more protein than many other whole grains, and it is particularly easy to digest because it is lighter than most grains. Blended from nectar collected on Fair Trade Certified cooperatives in Mexico, this luscious honey is perfect in beverages, baked goods, fresh fruit, jams and spreads. Fair Trade Certified Organic Honey ensures that a fair price is paid directly to the farmers and beekeepers tending the hives; it means they can develop the quality of the hives and forage areas and build thriving communities. $5.99, save $3.60 on a 16 oz. jar. 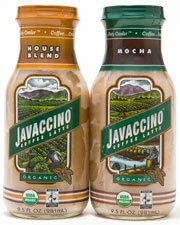 Micro-brewed with Fair Trade Organic coffee from Sumantra, these Javaccinos contain no artificial colors, flavors, or high fructose corn syrup. Capitol Family Fun Day encourages families to live active and healthy lives through interactive fun and games. On October 25 from 10 a.m. to 2 p.m. on the West Steps of the State Capitol, Nugget Market supports this year’s Fun Day as the Nutrition Zone sponsor. For more information, call 916-734-9638. Nugget Market in El Dorado Hills supports the Food Bank of El Dorado County for this year’s Walk for Hunger on Saturday, November 7 from 8:30 a.m. to 10 a.m. (registration begins at 7:30 a.m.). This yearly event raises awareness and funds for the fight against local hunger. The walk starts in the Town Center parking lot in El Dorado Hills. For more information, visit foodbankedc.org. Prices valid 10/14/09 - 10/20/09. See below to find out more delicious ways to stay healthy from Dr. Liz. 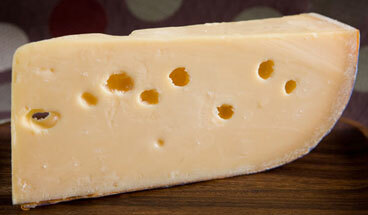 Have You Tried ‘Flax Cheese’? One of the newest additions to the Beemster line of aged Goudas, Beemster “Vlaskaas” translates literally to “flax cheese,” as it was traditionally eaten during the flax harvest with thick slices of bread and warm porridge. For a limited time, for each pound sold, Beemster will donate $.50 to the Susan G. Koman Race for a Cure. When you buy ONEHOPE Chardonnay, you’re shopping for a cause — 50 percent of the proceeds of each bottle are donated to breast cancer research. Rest assured, you’re getting a delicious wine, too, with a rich golden straw color and mellow apple and citrus flavors, topped off by a crisp but smooth finish. Detoxify your skin in three easy organic steps: use Giovanni’s Purifying Body Bar or Body Wash first, then follow up with the Exfoliant Scrub and Replenishing Body Lotion to polish and moisturize your skin to perfection. Giovanni Organic Cosmetics has pledged to donate a percentage of the retail sales from this line to the National Breast Cancer Foundation. Save $1 this week on any full size Giovanni Product with our featured coupon. Olive oil: Known for its heart-healthy monounsaturated fats, olive oil offers protection against breast cancer. Various antioxidants found in the olive itself help protect cells against cancer causing agents. Use this oil in cooking, as dressing for salad or pasta and as an alternative to margarine and butter. Salmon: A new study released last month shows that regularly including fish like salmon rich in omega-3 fats can help lower cancer risk. 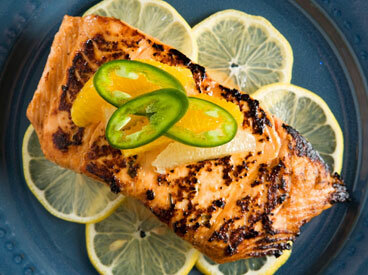 The benefit of salmon is most likely due both to its omega-3’s as well as its rich vitamin D content. This hormone-like vitamin is receiving much attention amongst cancer researchers as an anti-tumor compound. Aim for two 4-ounce servings of salmon or other fish weekly. Whole grains: A study from Italy revealed that the Mediterranean diet eaten there, which is rich in whole grains, offers protection against breast and other cancers. Select brown rice, quinoa, wild rice and other whole grains as side dishes. Also opt for whole grain cereals and breads over refined versions.